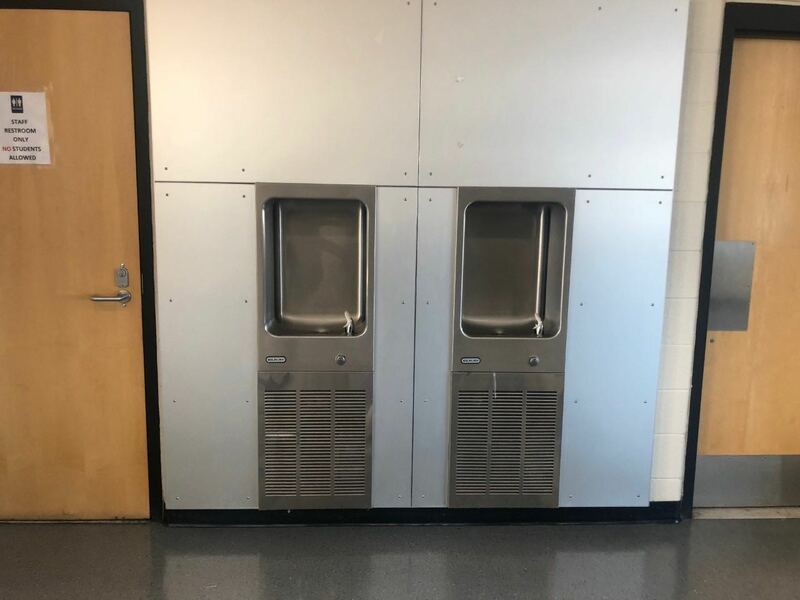 The Detroit Public Schools Community District said Wednesday that it’s awaiting results for 17 more schools, which means the total number of schools with tainted water could go up. The school district said it initiated water testing last year to ensure the safety of students and employees. Last month, the school district turned off drinking water inside all school buildings after some schools showed high levels of copper and/or lead. At the time, Superintendent Nikolai Vitti said recent testing found “higher than acceptable levels … (of) copper and/or lead” in at least one water source — such as a fountain or sink — at 16 of 24 schools. “Out of an abundance of caution and concern for the safety of our students and employees, I am turning off all drinking water in our schools until a deeper and broader analysis can be conducted to determine the long-term solutions for all schools,” Vitti said last month. The Detroit Public Schools Community District has more than 100 schools. Of the 86 schools whose test results have been released, 57 of them — about two-thirds — have tested positive for elevated levels of copper and/or lead, the school district said. It has not said what may have caused the high levels of copper and lead. But the city’s water department has said the schools’ aging plumbing systems are to blame, adding that the issues don’t extend to the rest of the city. Lead and copper can enter drinking water when plumbing pipes corrode. Consumption of the metals can lead to a range of health problems, and the Environmental Protection Agency mandates fixes to water systems when lead and copper concentrations exceed certain levels. Lead consumption can be particularly harmful to children, leading to health effects such as impaired cognition, behavioral disorders, hearing problems and delayed puberty. The Detroit schools’ move comes in the wake of a lengthy water crisis involving dangerous lead levels in Flint, about an hour’s drive to the northwest.